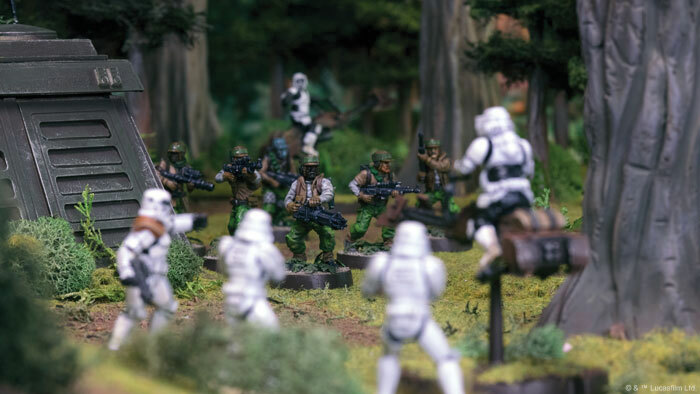 Fantasy Flight Games is proud to announce Star Wars™: Legion, a new miniatures game of infantry battles that invites you to join iconic heroes and villains, lead your troopers into battle, and battle for the fate of the Star Wars galaxy. With Star Wars: Legion, you can build and paint a unique army of miniatures. You can command your troops in battle and devise masterful tactics. And you can conquer your opponent’s army to bring victory to the light side or the dark side! 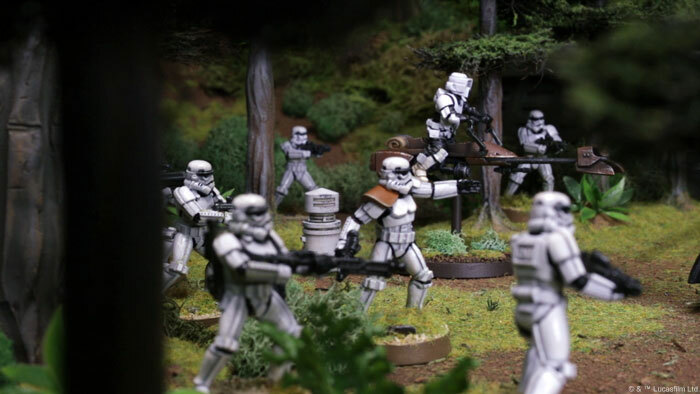 With thirty-three unpainted and easily assembled miniatures, and all the cards, movement tools, tokens, and terrain that you need for battle, the Star Wars: Legion Core Set is the perfect way to bring Star Wars battles to your tabletop. The heroes, villains, vehicles, and squads of troopers that you command are the heart of your army, and each round, you’ll command your units to press your advantage. Whether your unit is a squad of Stormtroopers or a salvaged Rebel AT-RT, each unit can take two actions to march across the battlefield, launch a devastating attack, take careful aim, dodge away from enemy fire, take a moment to recover, or hold their action until the optimal moment. Movement in Star Wars: Legion is fast and organic as you maneuver your troops around the battlefield using jointed movement tools. Unlike many miniatures games, you don’t need to measure movement for every miniature in a unit! Once you’ve measured movement for your unit leader, you simply pick up the other soldiers in the unit and place them in cohesion with the unit leader. Not only does this make movement fast and intuitive, it lets you strategically position your troops to take cover from blaster fire or control strategic terrain. Sending your Stormtroopers charging into just the right place to line up a devastating crossfire or catching your opponent’s forces between Luke Skywalker and a powerful AT-RT walker are some of the game-changing moves that can turn the tide and decide the fate of the galaxy in any game of Star Wars: Legion! Movement and positioning are important, but you’ll need to send your troops forward if you’re going to defeat the enemy army. Combat in Star Wars: Legion is driven by the weapons each soldier wields—whether you’re firing blasters, throwing grenades, igniting vehicle-mounted flamethrowers, or drawing a lightsaber. For every attack, you’ll choose the weapons you want your soldiers to use, adapting to the evolving battlefield by choosing between a blaster and a rocket launcher, for example. Each of the four Rebel Troopers chooses to use an A-280 Rifle, contributing a total of four black dice to the attack. The 74-Z Speeder Bikes unit will roll a defense die for each hit. Just as important as choosing which weapon you use is choosing when to attack. If your opponent is taking cover behind terrain or prepared to dodge your attack, then it may be better to reposition your unit and maneuver your forces to create a better opportunity for your onslaught. The choices you make will govern the fates of your soldiers—but if you lead them wisely, then victory is assured! For more information about movement and combat, visit the Star Wars: Legion minisite and keep an eye out for future in-depth previews. To win the battle, your troops will need to move and attack, but first they need orders—and that can be challenging at times during the heat of battle. Luckily, you have your army’s commander to ensure you can activate your units at the critical times. 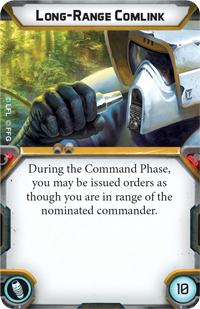 While every unit you control on the battlefield will activate each round, the command system for Star Wars: Legion presents you with the opportunity to outmaneuver and outthink your opponent. Adapting to the changing tides of battle is one of the things that separates truly great commanders from lesser officers. You can find more details about the command system and ordering your troops on the Star Wars: Legion minisiteand in future articles! 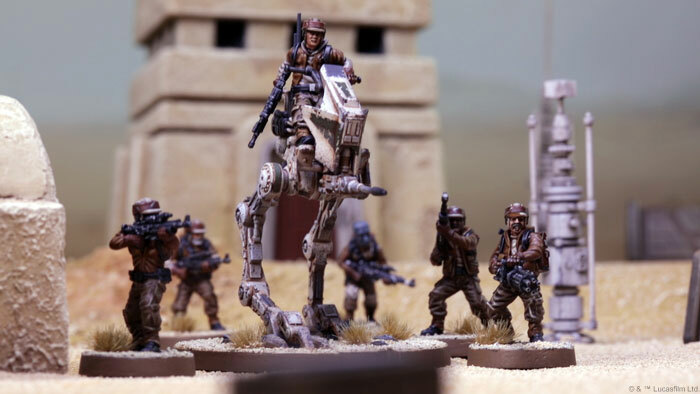 Like other miniatures games, Star Wars: Legion also gives you the chance to build a unique army. Before the game begins, you’ll select the exact heroes, villains, troopers, and vehicles that you want to use. 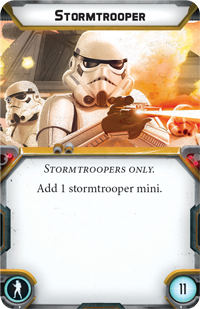 Within the Core Set alone, you already have choices to make with thirty-three miniatures, including Luke Skywalker, Darth Vader, Rebel Troopers, Stormtroopers, an AT-RT, and 74-Z Speeder Bikes. While the Core Set gives you everything that you need for your first battles, you’ll find even more options as you expand from there. 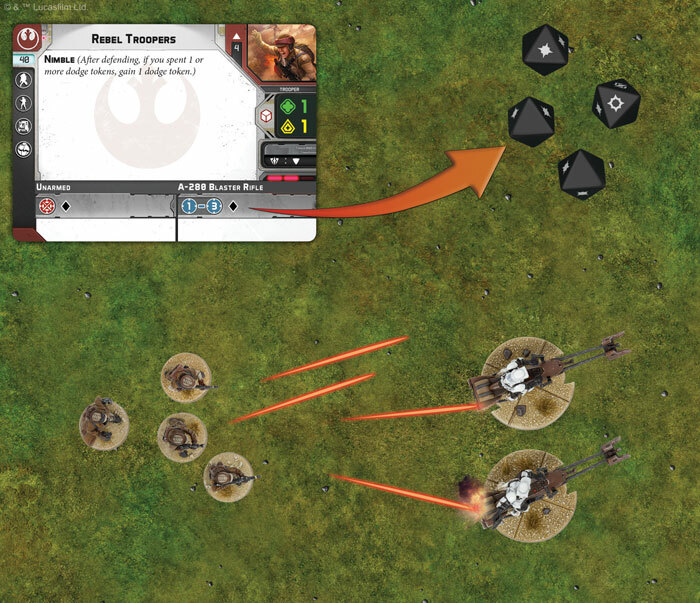 You may choose to build an army that uses swarm tactics with large numbers of troopers, or you may focus on the improved armor and firepower of vehicles, but whether you’re planning a small-scale skirmish or a pitched battle between dozens of units, the game allows you to build an army that fits the way you want to play. The choices and customization don’t stop there, either. Every unit in Star Wars: Legion has the option for you to tweak it to fit your preferences and playstyle with upgrade cards. You may upgrade Darth Vader with the ability to throw his lightsaber, load a rotary blaster onto your AT-RT, bring heavy weapons specialists into your trooper unit, or equip your 74-Z Speeder Bikes with long-range comlinks. No matter how you upgrade your units, every upgrade card is another step to making your army different. And of course, perhaps the most entertaining step of army building for many players is to paint and customize your miniatures! 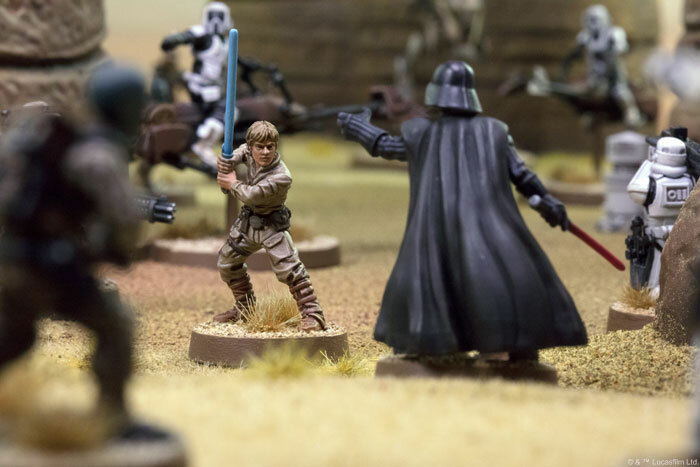 All Star Wars: Legion minis come unpainted, so after you assemble your army, you’ll be able to paint them to create a truly unique army and bring the Star Wars galaxy to your tabletop. Although you don’t need to paint your army, many players find it more enjoyable to play with a painted army—and we’ll have plenty of articles and video tutorials to support your painting in coming months, including help for beginners. 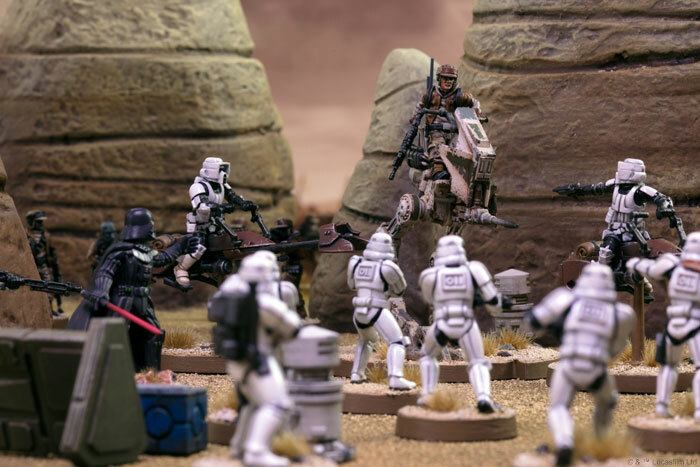 Even if you’ve never played a miniatures game or painted an army before, the Star Wars: Legion Core Set is the perfect entrypoint to the hobby.